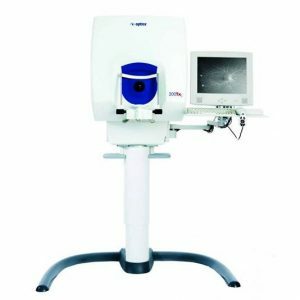 Our cutting edge retinal imaging technology is customized to fit the needs of your practice. 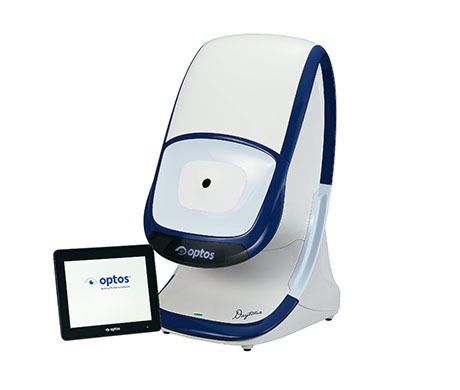 The next generation of Optos technology, Daytona has been scaled to accommodate smaller office spaces while providing ultra-high resolution imaging, and adding ultra-widefield autofluorescence capabilities. 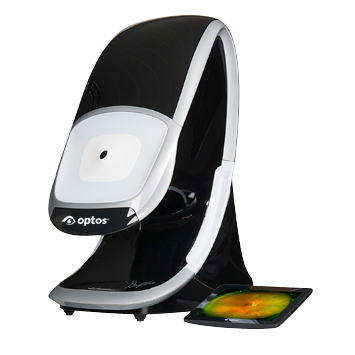 From the 200° view of the retina in one image, captured in less than one second to the multiple imaging modalities available, the Daytona brings the benefits of ultra-widefield optomap® images to your practice, inside a compact design. 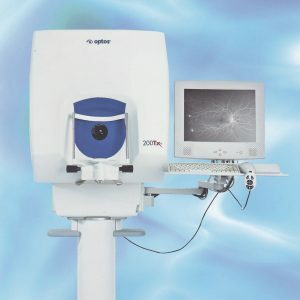 We’ve maintained high image quality to give you clear and detailed views of the retina. 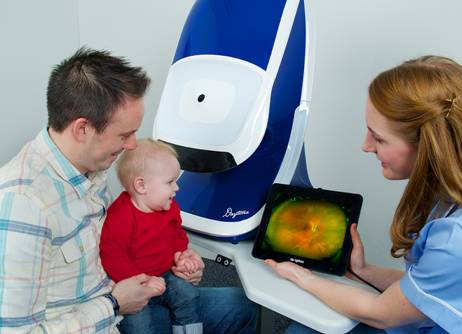 Daytona’s exclusive Virtual Point™ technology provides an unmatched 200° view of the retina in one panoramic image. With the auto-capture functionality, images can be taken without any technical guidance. 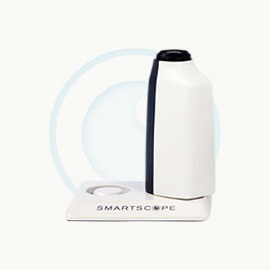 Daytona is a digital, non-mydriatic, ultra-widefield scanning laser ophthalmoscope that captures images through 2mm pupils. Daytona is capable of on-the-fly, ultra-widefield imaging in color, red-free, and autofluorescence, providing views of deeper structures of the retina (RPE to Choroid) as well as visualization of lipofuscin in the RPE. The Intuitive workflow-based software that comes with Daytona is easy to use and designed to emulate an efficient work style. The plug-n-play interface is simple to set up and install. 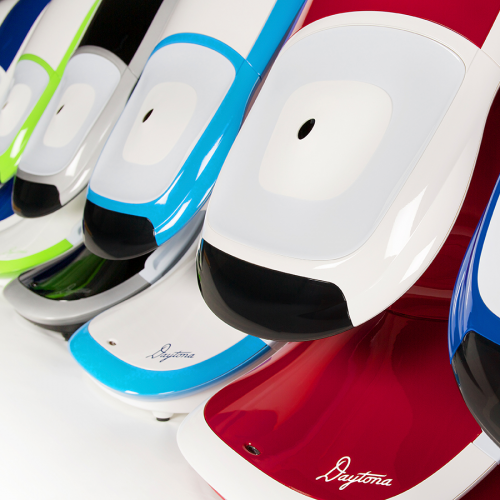 Daytona was engineered with patient comfort in mind. Our ergonomic design encourages a neutral body posture and simple positioning of the eye.